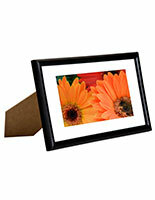 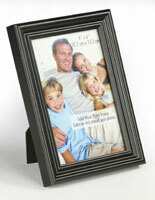 Use our cherry picture holder to display some of your favorite snapshots and memories. 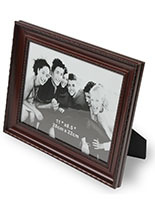 This classic image enclosure is designed for 4”x6” size prints and can be placed in both portrait and landscape orientation. 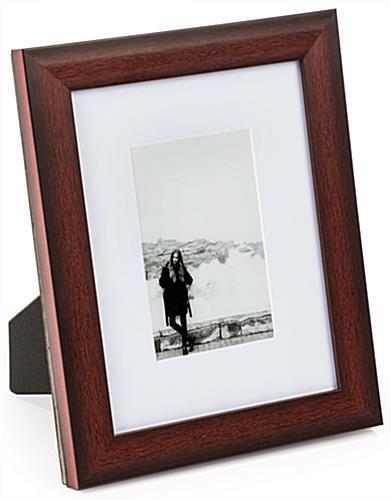 Each frame contains a glass lens to protect your print from dirt, dust, and from being tampered with. 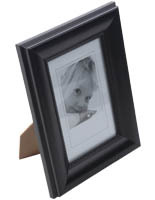 The rustic wood framing of this picture holder is neutral enough to blend in with any décor. 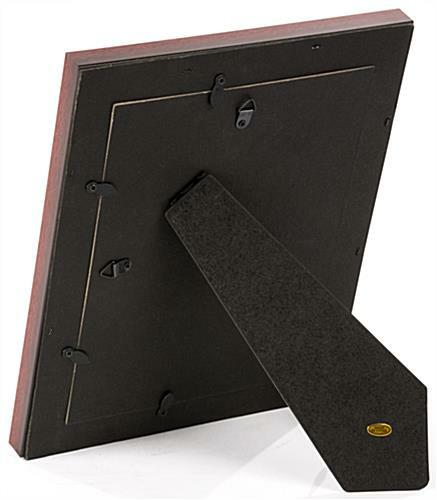 Our classic image enclosure can be perched in an office or used at home in a living room. 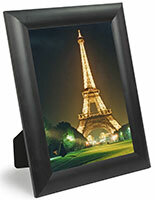 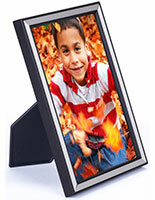 Our wood picture holder is compact in size with a slim profile, making it the perfect versatile option for any setting. 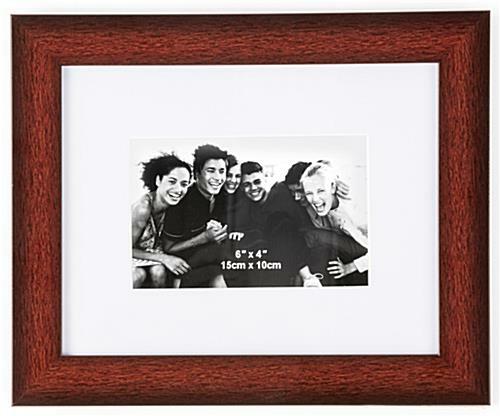 11.1" x 9.1" x 7.1"
11.1" x 9.1" x 1.0"
This was the first time I ordered from this company. 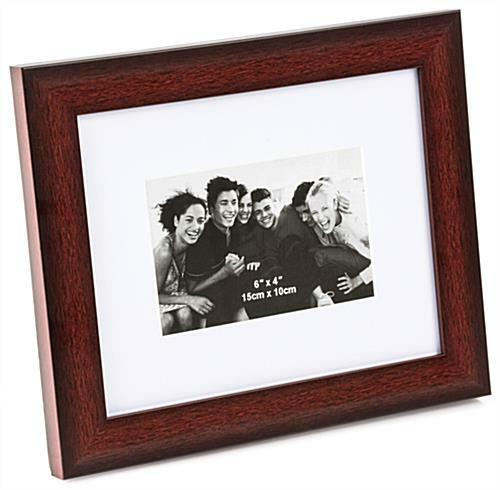 I must admit I was a little nervous to since they didn't have any reviews on the frames I wanted and worried they might arrive broken, but everything shipped on time and in mint condition! 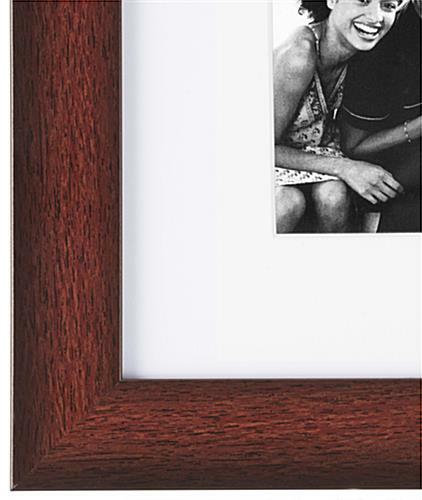 I used these as Christmas presents so I don't have any pictures of the frames, but they packaged it very carefully and these cherry wood finish was beautiful. 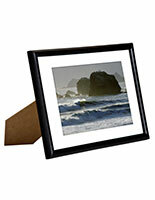 I will definitely be ordering from here again.